How We Met Close friends since childhood, we first met in fourth grade at Holy Trinity Catholic School. Samuel and his family had moved to Dallas over the summer -- into a house just three blocks away from Isabella's childhood home -- and we ended up in the same class together. Isabella can still remember that first day in Mrs. Swanson's classroom. As a way of introducing all the new classmates to one another, Mrs. Swanson had each of her students share their favorite food, their favorite animal, and what they wanted to be when they grew up. Samuel's answers: pizza, lion, and police officer. Isabella's answers: spaghetti, dog, and U.S. president. 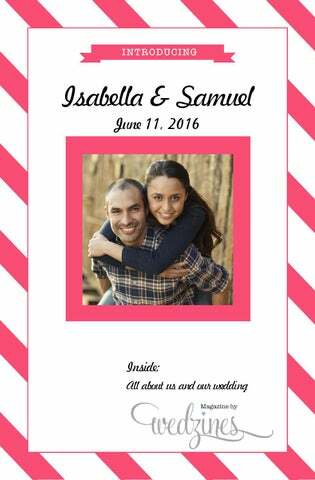 While Samuel thought most girls were "gross" at the time, he made an early exception for Isabella. He knew he liked her when he discovered that she could kick the kickball farther than anyone else on the playground -- boys included. Isabella liked Samuel from the moment she met his family dog, a Border Collie mix named Jordan. Our First Date While we met in fourth grade, our first date wasn't until his sophomore year in high school. Isabella's parents were not too keen on her dating, but since Samuel seemed like such a nice young man, they finally decided to allow a first date. It was mid October, and Samuel had just gotten his driver's license. After a full week of begging, he was allowed to borrow his mom's Cadillac Eldorado for the evening, and was so proud to be the driver for the night! We went out for dinner at one of Samuel's all time favorite restaurants, Keller's Drive In (Samuel was reluctant to leave the car he was so proud to be driving), then to see a movie, Spider Man. Despite a lot of first date nerves for both of us, our dinner and the movie were great, and Samuel got Isabella home 15 minutes before her curfew! Luckily, Isabella's parents allowed more dates. The Proposal It was magical. Isabella had spent the day at the spa with her mom. (She found out later that this was all part of the plan.) When she returned home, she discovered that Samuel had cooked a full five course meal, complete with fine wine, fresh lobster (one of her favorites), and homemade chocolate cream pie (another one of her favorites) for dessert. After the wonderful meal, Samuel invited Isabella onto the back porch for a nightcap. The moon was full and the stars were bright -an absolutely beautiful night. To make it even better, Samuel had put a bottle of champagne on ice and had set the table with candles and an arrangement of gorgeous Gerbera daisies (another one of Isabella's favorites -- noticing a theme here yet? ;) After about 10 minutes of pleasant conversation (Samuel was still trying to work up the nerve to pop the question), Samuel dropped to one knee and pulled out the most beautiful diamond ring Isabella had ever seen. Of course she said yes, and here we are today! Bride or Groom? Trivia How well do you know the Bride & Groom? 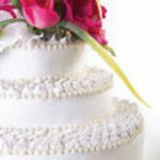 Decide if the following clues relate to the Bride (A) or the Groom (B). *Answers found at the bottom of the page. _____ 1. Made honor roll every semester in high school. _____ 2. Took violin lessons as a child. _____ 3. Once hiked to the bottom of the Grand Canyon. _____ 4. Has a tattoo. _____ 5. First job was at Six flags. _____ 6. Loves the gym. _____ 7. Wants to have six children. _____ 8. Loves hot sauce. _____ 9. Hopes to live to 100. _____ 10. Aspires to be a writer.